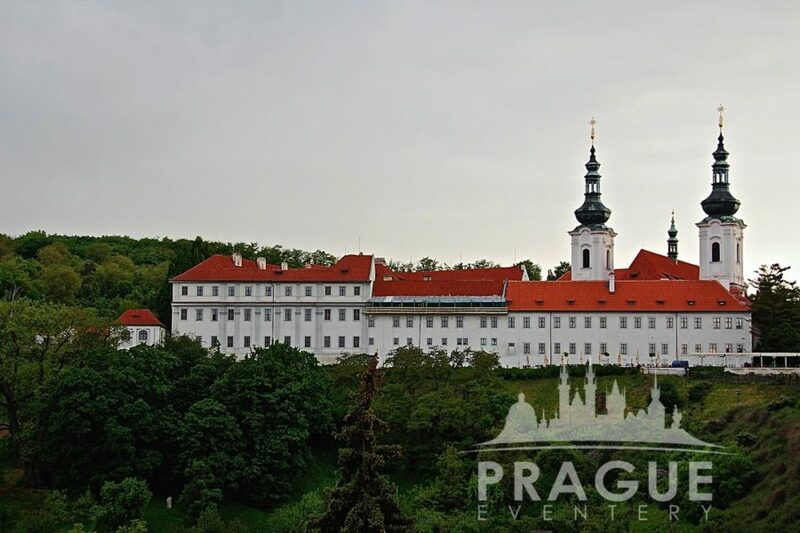 « Previous "Dobris Royal Chateau" | Next » "Prague Park Tower"
The Royal Canonry of Premonstratensians at Strahov is one of the oldest monasteries of the Premonstratensian Order in the world. 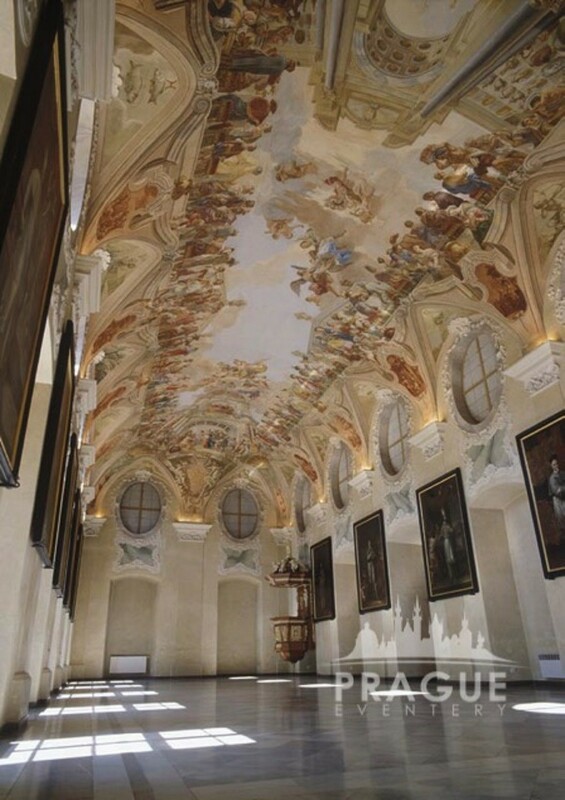 It has been a working monastery practically ever since the day it was founded back in 1143. Fire, the Hussite wars, religious wars, and even the Communists, all failed to shut down this institution, but not without trying. Even when the members of the monastery were unable to live within its walls, they gathered wherever they could and nurtured the spirit of their House until they were able to return to the monastery complex. Premonstratensians are an integral part of the Roman Catholic Church, not only as an organizational, legal, and independent unit, but mainly, they are an integral spiritual element of the Church. 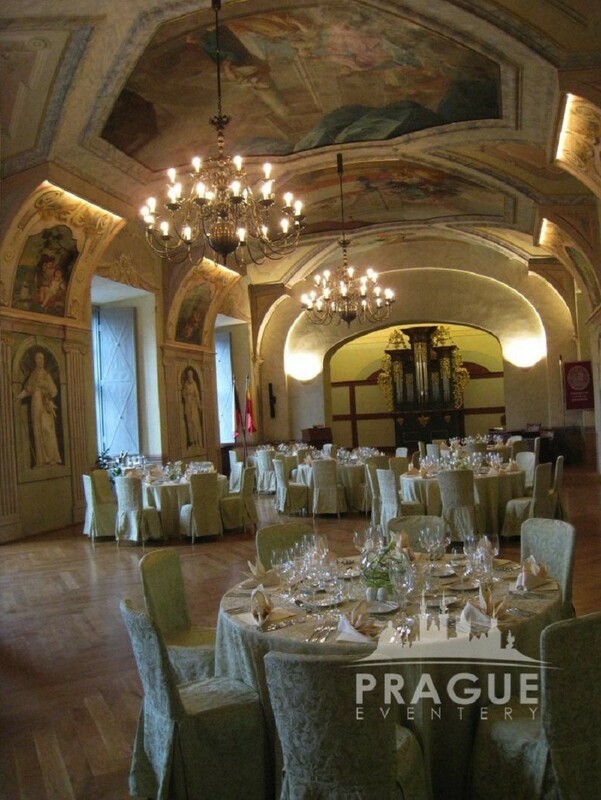 This location is one of the most sought after Prague Venues for hire in the city. 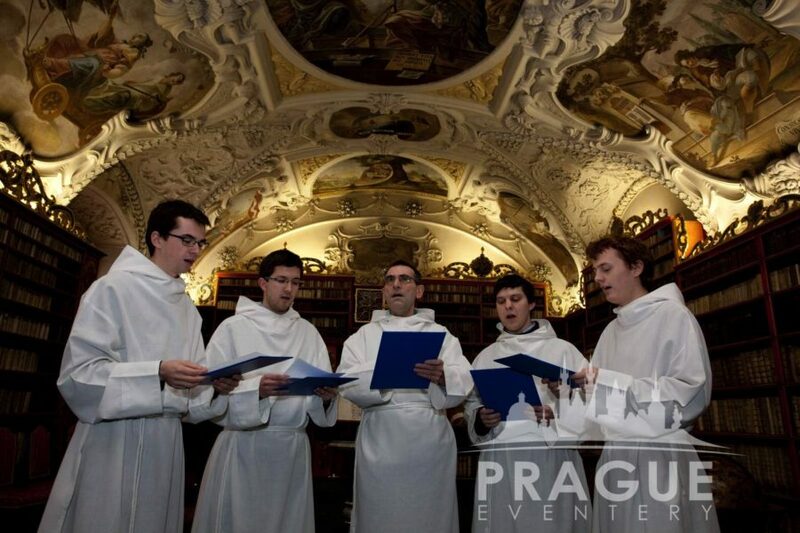 Besides its spiritual services and abbey life, Strahov Abbey also plays a role in the cultural life of society. 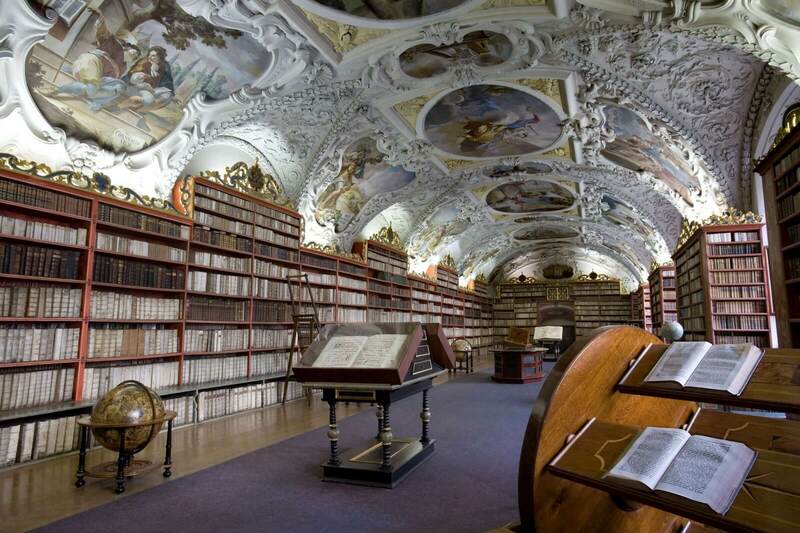 The famous Strahov Library are cultural institutions proving to the world that the Strahov Premonstratensians have always cared for the development of culture and education. 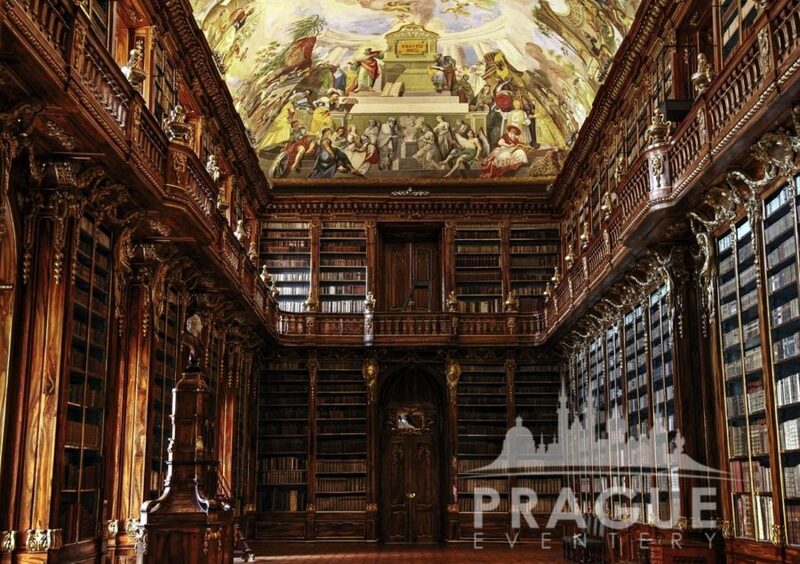 The Library in this venue is normally not open to the public, and houses some of the most beautiful, and important, artifacts of our time, but we can make this secret treasure available for your next big event in Prague. 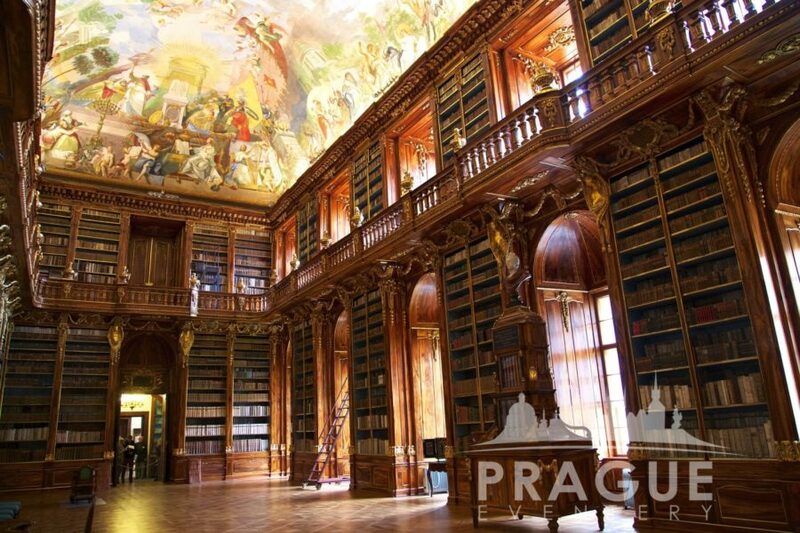 The Library has been featured as a back drop in many well known Hollywood blockbuster movies and it’s grandeur hasn’t been lost on the big screen. 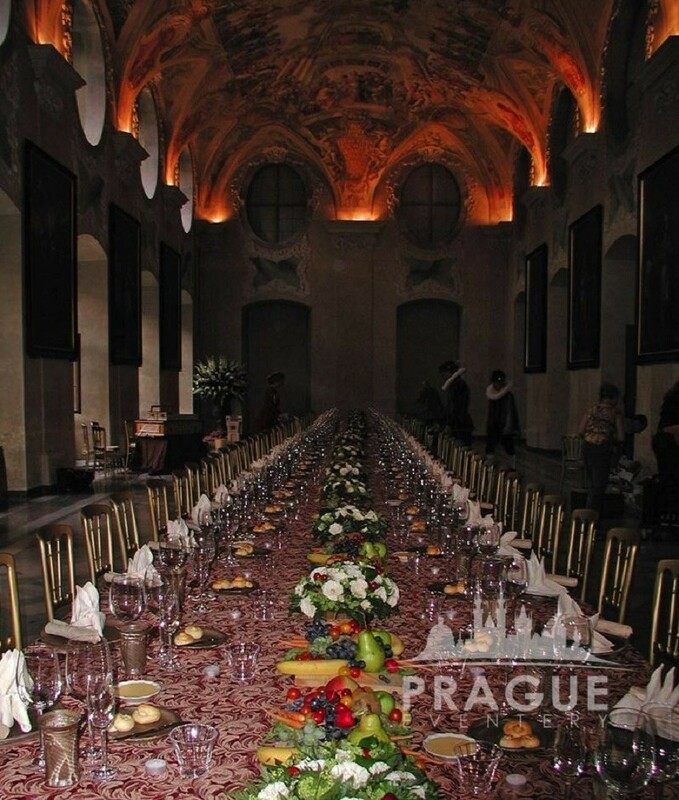 The Library can be used for welcome receptions either alone, or in conjunction with one of the two refectory event rooms located one level lower within the monastery. 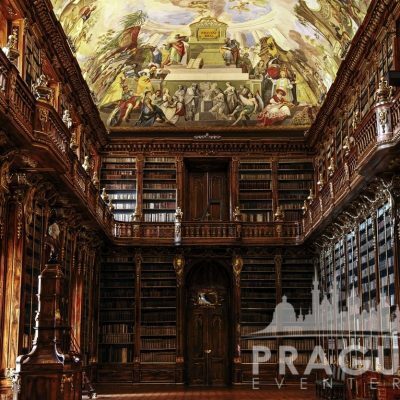 Contact us for more details and information on some additional Prague Venues for hire that work within the parameters of your event!